People Get Hacked. Insurance Can Help. 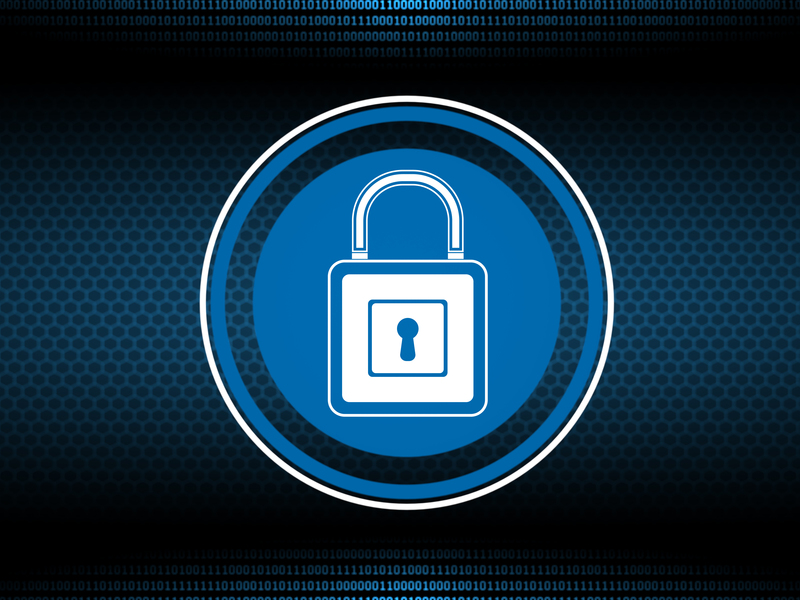 It’s October – and that means it’s National Cybersecurity Awareness Month. The National Cyber Security Alliance has dedicated the first week to making homes safe from hacking. And for good reason. Families are increasingly living connected lives: on social media, in video games, and through “smart” home technology like connected thermostats or burglar alarms. So-called “smart tech” (otherwise known as the Internet of Things) is only getting more popular: three out of five Americans have connected technology in their homes, according to a recent Insurance Information Institute and J.D. Power 2018 Consumer Cyber Insurance and Security Spotlight SurveySM. Smart tech is convenient and efficient. Why not buy a thermostat that can automatically adjust the temperature to save you money? Your smart tech can be hacked. But convenience can be costly. Hackers are getting more sophisticated. Your smart security system might discourage burglars – but not hackers. Hackers can use your smart thermostat to attack major websites, which is what happened in several major hacks. Nearly a third of the smart tech owners surveyed said they have been identity theft victims. People aren’t covered for cyberrisk. More than four out of five American consumers who own connected devices either lack insurance to protect them from cyberthreats or do not know if they are covered – and over 75 percent said they don’t plan to pay more for cyberrisks coverages. That’s not great. Cyberrisk coverages are usually fairly inexpensive, sometimes as low as $30 per year. For that low price consumers can often get help for a range of cyber threats, including identity theft, cyberbullying, and ransomware (depending on the individual policy). Education about cyberrisks is crucial. It’s a simple problem: People often don’t have cyberrisks coverage because they don’t know much about cyberrisks. Which also explains why many cyber-attacks are essentially “user error” – for example, a hacker sends a disguised email and a user clicks on a link, downloading malicious code onto their computer. Or someone buys a smart tech device and doesn’t change the factory password. Getting educated about the risks of hacking is the first step to protecting your data. The next step is to use security tools. One such tool is insurance. Insurance helps. Insurers need to make that clear. Whether as an add-on coverage to a homeowners policy or as a stand-alone policy, cyberrisks insurance can help protect you if you’re hacked. But the I.I.I/J.D. Power survey found that many people don’t know about this kind of insurance. Insurers need to help educate their customers about the cyberrisks they face. Then they can help their customers understand why insurance can be a low-cost tool to protect their identities and assets. Cyberattacks from other countries are now seen as a major threat to the U.S. by 72 percent of Americans, according to a national survey from the Pew Research Center. This view has changed little in recent years, apparently. 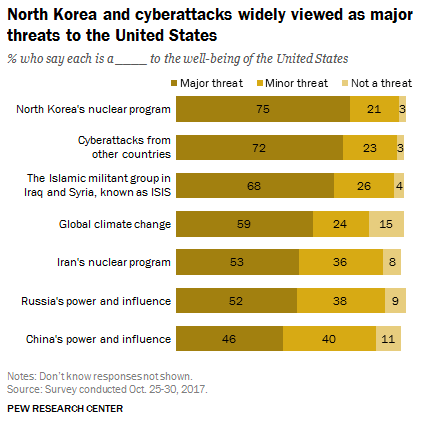 But what has changed is public opinions about other global threats. Take climate change—now viewed as a major threat by 58 percent of Americans, up 7 points since January, and the highest share since 2009. The survey was conducted October 25-30 among 1,504 adults.